Almost needed to make a new category for this subject, but I think Elegant Dressing fits the bill - just. Pat McGrath, is the legendary fashion editorial and runway makeup artist for iconic design houses such as Versace, Balenciaga, Stella McCartney, Christian Dior, Givenchy and Gucci. McGrath's been at the epicenter of the fashion world for over two decades, creating signature looks for each designer from season to season worn by top models including Naomi Campbell, Gigi Hadid and Joan Smalls. 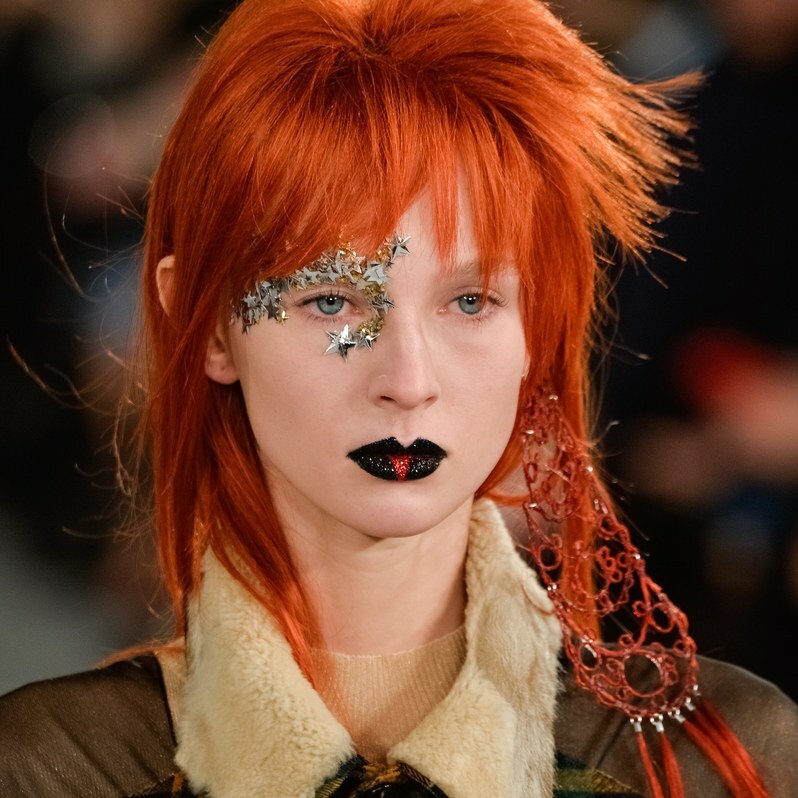 McGrath launched her makeup line Pat McGrath Labs in 2015 with just one product available on her website and through Sephora stores, which I was all about and shared in my December 22 2016 Elegant Dressing Post. Barely three years later the brand received a $60 million minority investment from New York based investment company Eurazeo Brands giving Pat McGrath Labs an astonishing valuation of $1 billion!! This news comes right on the heels of Kylie Jenner's Kylie Cosmetics company that begun with lip kit palettes. Forbes valued Jenner's company at $900 million, another stratospheric amount and last week graced the Forbes magazine cover. However, on Monday with Eurazeo Brand's infusion of cash Pat McGrath blew right past her. The meteoric rise of these two makeup moguls is of particular interest to me having been involved in the cosmetics world during my early professional life; initially as a fashion model followed by several years working at Estée Lauder then Donna Karan. Even now years later in a completely different field as an interior designer, and with friends still in the business I continue to have a keen interest in the industry. McGrath's story is entirely different. She grew up in Northampton, England with her mother who emigrated from Jamaica. As McGrath shared in her interview with The Guardian newspaper, she was introduced to makeup by her mother Jean...“She always put on a full face of makeup then got in the bath to get that dewy finish. It was next level, but this is where I got my makeup tips from — at seven years old.” That was the genesis of her passion for makeup and left Northampton for London to pursue a career as a makeup artist. Pat McGrath is an exceptionally gifted artist who produces an inexhaustible supply of makeup statements. She maintains an at times punishing work schedule that includes leading her team through 60-plus shows during Fashion Week, creating transformative looks that have sparked global trends. Ms McGrath's idealistic outlook has remained constant..."It has always been my dream to create an iconic beauty brand that goes beyond the usual limitations, that's outside the parameters of what is expected." At age 53 Pat McGrath sits atop of her $billion dollar self-made empire - totally awesome! McGrath and Jenner have disrupted the cosmetics industry’s traditional department store concept with neither maintaining a presence there. Choosing instead to drive sales through their social media platforms and in McGrath's case also with Sephora, the personal care emporium. Can't wait to hear about what are sure to be eye-popping stats from Rihanna's Fenty Beauty whose fab lipgloss Fenty Glow I've been wearing and loving all summer!